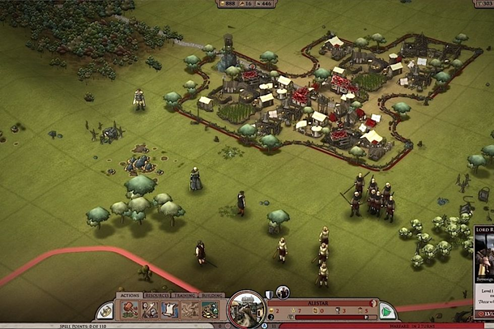 Most fans of our previous games know that we make a lot of strategy games. 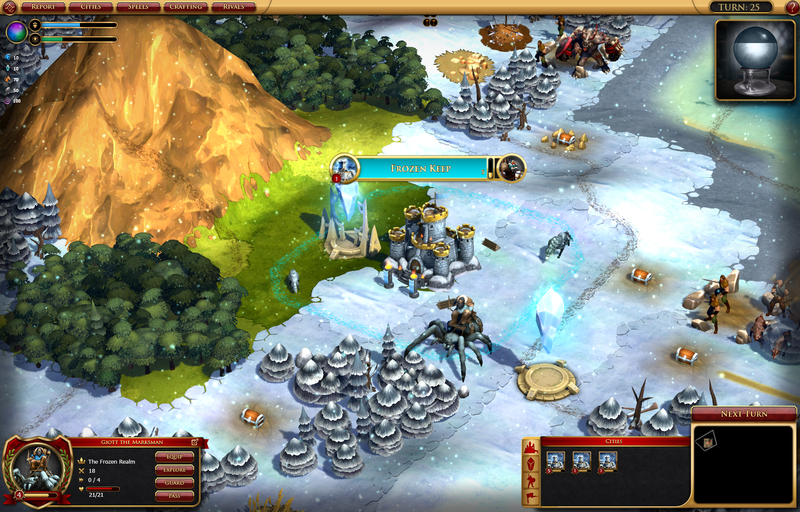 Strategy games are all about having as much data on-screen at one time as possible. But Star Control isn't a strategy game, it's an action RPG. 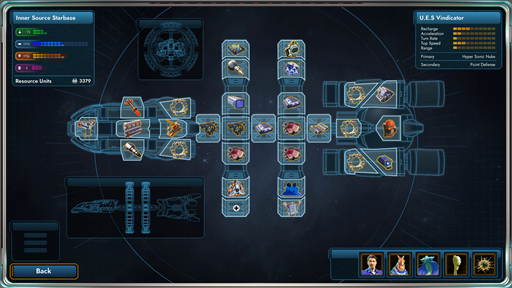 It took us a very...very long time to nail down the user interface we wanted for Star Control: Origins, mostly due to having to quit trying to make a strategy game UI for an RPG. 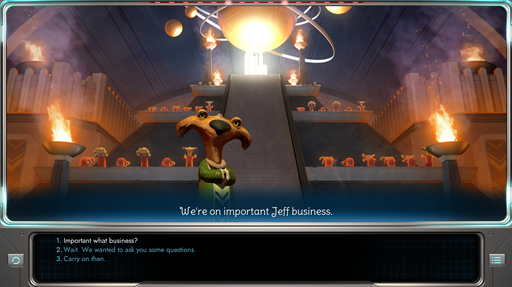 Star Control: Origins was in development long enough for an entire UI and art-style trend to begin, peak, and end. I don't know what that art style or UI design philosophy was officially called, but I'll refer to it as "mobile". 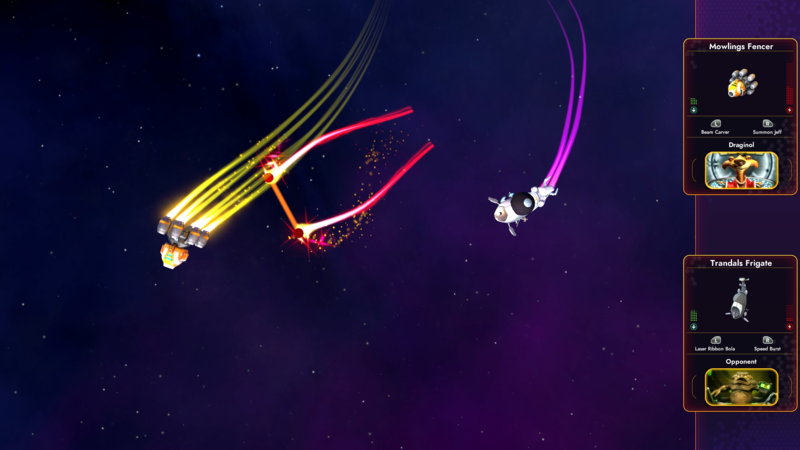 The philosophy behind the mobile game style can be summed up as "never letting the player forget they're playing a game." The left one is from Sorcerer King (2015) and the right one is from Elemental: War of Magic (2010). I chose these two because we developed both, and both use the same underlying engine. But the left one conforms to "mobile" style, and the right is a custom style. Ignore whether you like the art of one better than the other. The difference is that the Sorcerer King (mobile) style is trying to make sure you remember, at all times, that you are playing a game. 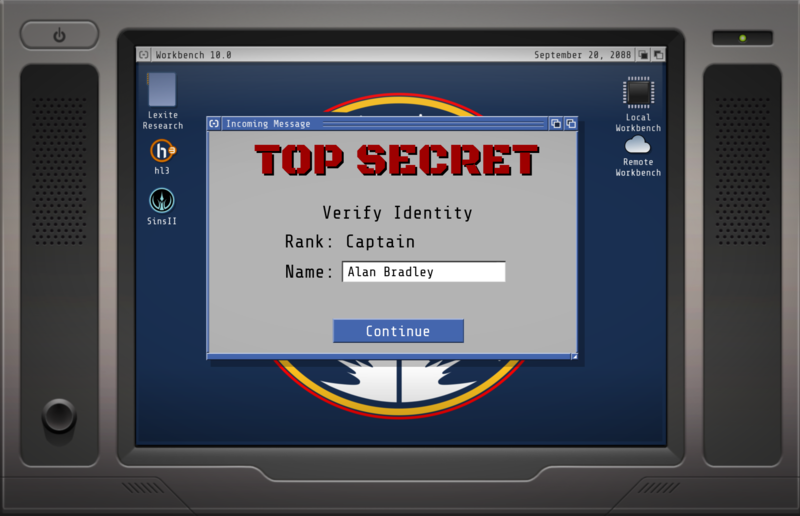 By contrast, the Elemental UI is trying to make the UI feel like you, the leader, are looking through a crystal ball. 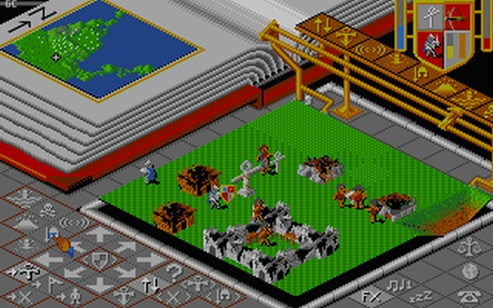 Here's another example: Godus (2013) vs. Populous (1989). Same designer. 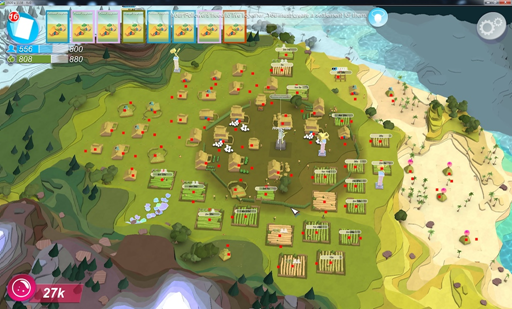 Godus embraces the mobile UI, and Populous is of course at the other extreme where you are a god at a table. When Star Control: Origins began its development, it was firmly on the "mobile" philosophy. Now, to be sure, I'm not making a comment on whether the mobile style is good or bad. It's probably the most common style even in new games, especially Unity games. However, the more we began playing the game, the more we realized how much immersion we lost when confronted with the mobile style UI. When I play a role playing game, I want to get lost in it. I don't want to be constantly reminded that I'm playing a video game. And so, over time, a new UI design philosophy gradually emerged. 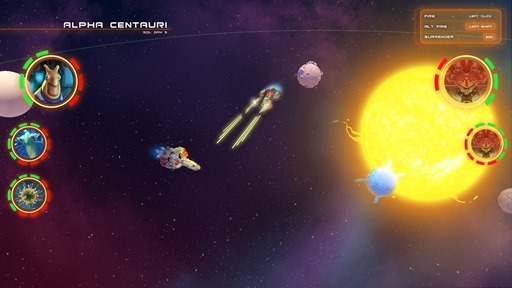 What makes a Star Control game...well, a Star Control game, is interacting with the alien species. And it's one of the best examples of seeing the UI gradually change. This is pure mobile. You have literal buttons floating on the screen. 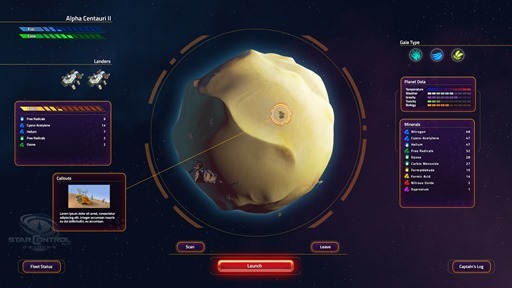 I think it looks neat but when you play, you are confronted with the fact that this is a video game with a choose your own adventure style UI. This style lasted a very, very long time. But, look closely at this screenshot. Who is looking at it? The Captain of a starship? Or a gamer? Even if you don't consciously notice it...your brain does. The UI was constantly reminding you that you are just playing a game. But I'd argue that half the reason we play games is escapism. This led us to create the OS/Game dichotomy. That is, when dealing with "the game", as in, options or crafting or other elements where you are not the captain of a ship, you will see the "mobile" UI style. But when you are the captain, we focus on immersion. Now, you are the Captain. 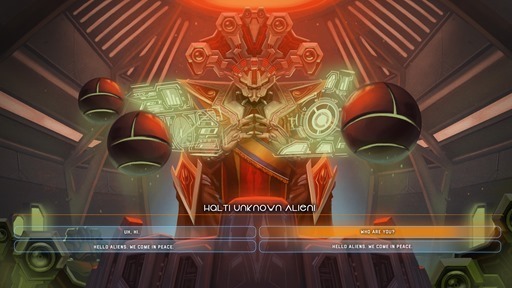 You are looking through the view screen of your ship talking to an alien whose alien language has been translated for you (if you speak English, you're set because as the aliens explain, English is a baby language and so they vocally speak that <g>). 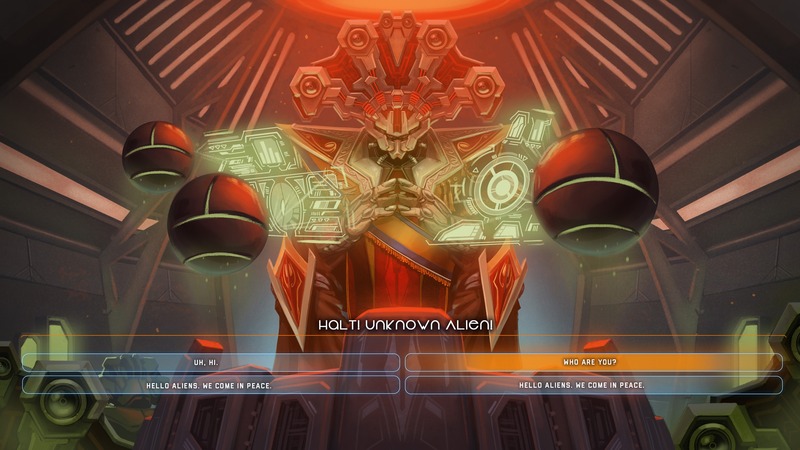 Below the view screen are terminal options of responses that have already been translated by your Xeno Linguistics officer. This philosophy went through the entire game. There are places in the UI where we pick a middle ground. But even there, we may change that. Let me show you what I mean and please feel free to use the comments to opine. For example, Fleet Battles was a tough one for us. Who is watching? It didn't make sense to view it through a view screen because you have an omnipresent point of view. At the end of the day, we picked to go with the tried and true ideas from the classic series. Info on the right, clean screen on the left. 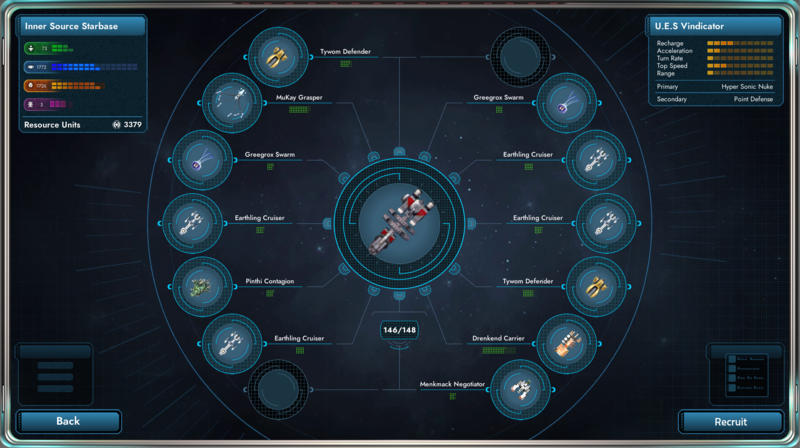 Manage Fleet is now through your ship's view screen's computer. 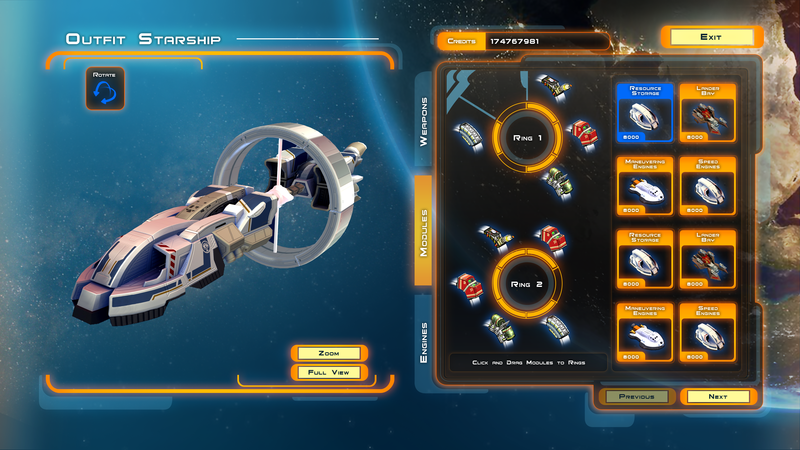 Same for your ship's configuration. This is seen through your eyes at your ship's computer. We take this concept further in setting up the game. Rather than a generic "enter your name and enter your ship's name" game UI, we instead present you with this information through your character's home computer. In our future, Amiga returns and takes over. You heard it here first. The first draft of the game's Codex UI used the immersive UI style. However, we realized that this information exists outside the game. If it exists outside the game universe, then we switch to what we call the OS style. 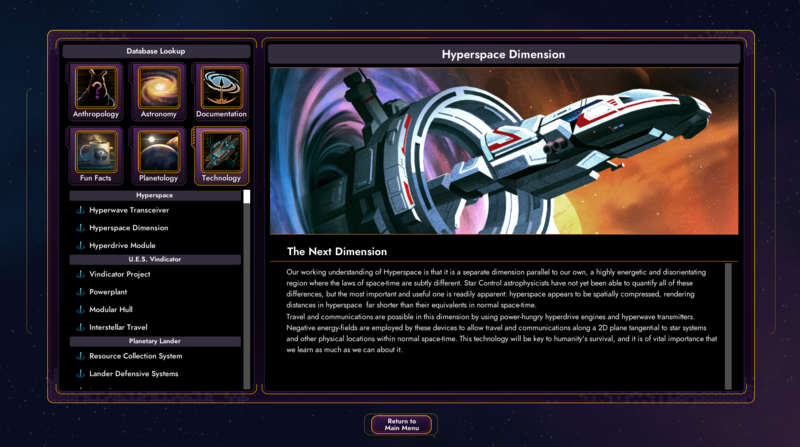 The OS style is the violet and yellow look, and the immersion UI has metal and blue. What is the purpose of UI? User Interfaces, in games, are there for more than just helping you "do stuff". They should help get you invested in the world at large. This is why we moved away from a mobile style UI into an immersion style UI. Games are a form of escapism. Maybe someone will argue the UI is hokey, but we hope players find it fun and interesting, as well as effective. Half Life 3! ...the future is indeed bright. 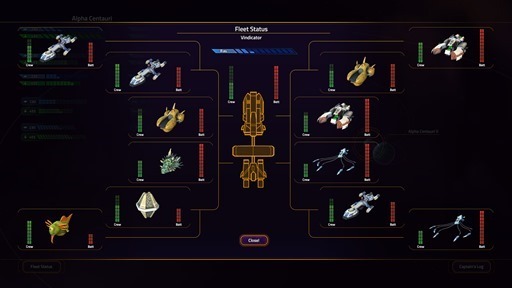 So I'm going to be a rabble rouser and say that while I totally get why you made the UI look like how you did..
One of the benefits of the game era and setting SC:O is in, is that Stardock has the option to use a computer interface and it blends in. This is such an informative look at how the UI of a game changes over its development. Thanks for sharing its evolution with us! I could see this in the very beginning, before you go take command of the Vindicator, getting your briefing in person. 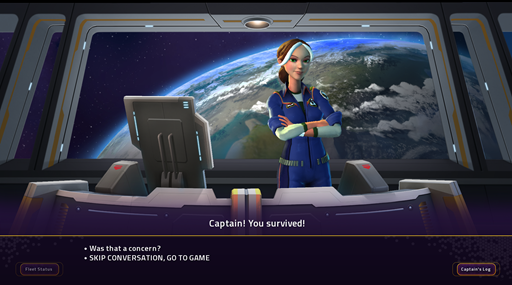 The current UI looks better for conversations from ship to station, however.